The Florida Gator baseball team is set for the season to start tomorrow night. Coach Kevin O’Sullivan has his boys ready for another run for Omaha. Here are five things you need to know before the start of the season. 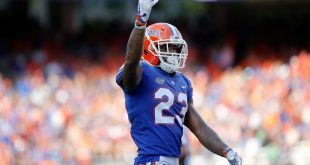 The Gators lost Logan Shore and A.J. Puk last year to the MLB Draft. It’s never easy to lose your Friday and Saturday starter from one year to the next. Luckily for Florida, they have Alex Faedo, Brady Singer, and Jackson Kowar. Faedo is one of the highest rated prospects for this upcoming MLB Draft. Multiple times last year, coach O’Sullivan said he felt like the junior from Tampa could be a Friday starter on other teams. It’ll be interesting to see how he handles the competition of an opposing Friday starter every weekend. Singer and Kowar both impressed last year in limited roles as freshmen. Kowar actually solidified himself as the midweek starter last year but O’Sullivan kept his innings count limited. Both guys are ranked in the top five in D1baseball.com’s Top 150 College Prospects for the 2018 Draft. The Gators have three guys on the preseason watch list for the Golden Spikes Award. They are tied with TCU and Stanford for most players on the list. Florida only has one player in the history of the program to win the Golden Spike Award. It was Mike Zunino back in 2012. Peter Alonso was easily the best offensive weapon for the Gators last year. In the NCAA Tournament, he hit .500 with five home runs. Now, he is part of the New York Mets organization. With him gone, guys like Schwarz, Mike Rivera, and Jonathan India look to head the offensive onslaught. As far as who will be playing first base, Christian Hicks and Schwarz have been taking reps at first. O’Sullivan recently said the decision on who starts won’t be dictated just on hitting. What can be seen early on is Hicks will start at first and Schwarz will be the designated hitter. Keep in mind, Hicks won the Home Run Derby on fan day. Granted, the wind was blowing in the right direction. The Gators only have three upperclassmen options to come out of the bullpen and only one senior. That senior, Frank Rubio, started out as a walk-on his freshman year and now is the leader of the pen. Coach O’Sullivan recently said it has been great to see his growth over the last four years. Rubio is going to be relied upon in a lot of situations to start off the year. Not bad for a walk on. It’s going to be a good amount of unfamiliar and young faces coming out of the bullpen this year. How to Get Back to Omaha? 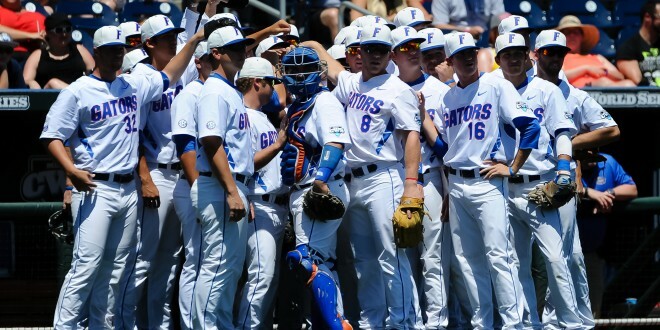 Florida has been to the College World Series for two straight years and that’s no easy task. The Gators have gone three straight years before (2010-12) so it’s not out of the realm of possibility they go back this year. UF can’t go on offensive slumps like they did last year. At times, they relied heavily on Alonso but that security blanket is gone. The potential for the starting staff is through the roof, but injuries could happen. Additionally, the bullpen is young and mostly unproven. If the dominoes fall in the right place however, the Gators could be flying to Omaha for a third straight year in 2017.